PADI Instructors who have special scuba diving interests and expertise can write their own specialty diver courses. Some of the more popular distinctive specialty courses are described here, but your instructor may teach others that are specific to your local area. Be sure to check with a local PADI dive shop about what is available and unique to the location. Sharks are crucial to marine ecosystems, yet sharks are in a global decline. Learn about the value of sharks and what is causing the rapid loss of shark populations. 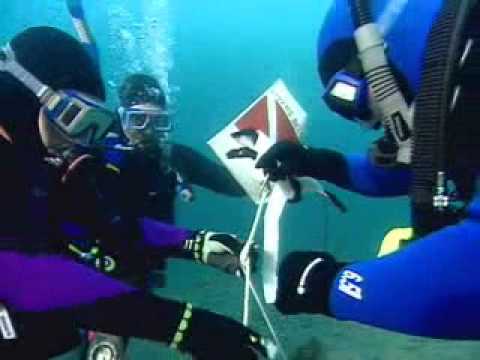 The course may include two scuba dives or may be presented as a nondiving education program. The first dive of this distinctive specialty course may credit as an Adventure Dive toward your Advanced Open Water Diver certification, ask your instructor about earning credit. Native to the Pacific Ocean, lionfish are progressively invading the north-western Atlantic and the Caribbean, where they have no natural predators. Learn what action is needed to control the lionfish population and, during two scuba dives, learn practical ways to safely and humanely capture and euthanize these fish. There has been a steady decline in worldwide sea turtle populations, but there are ways to fight this. Learn basic sea turtle identification, how to record sightings and conservation steps you can take. The course includes two scuba dives or two snorkeling excursions. Whale sharks are the largest fish in the sea, yet are known as gentle giants with little known about their activities or population size. Research and monitoring programs are helping fill these knowledge gaps. Learn about whale shark biology, behavior and distribution. During two scuba dives or snorkeling excursions, practice passively observing these large creatures.